From the folk music TV program "Let'’s Sing Out". Recorded at Laurentian University, Sudbury, Ontario by CBC TV. The program, hosted by Oscar Brand, also featured Jimmy Driftwood, Bob Jason, and the Allen Ward Trio. It was broadcast in November of the same year. 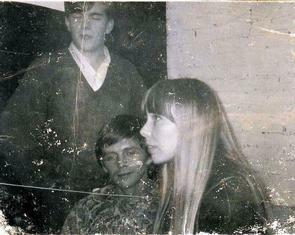 Back in those days I remember how excited it was when Joni taught me Urge For Going! At the time when anyone might ask her what her favorite song of those she'd written was, she would always say it was UFG. She patiently taught it to me herself and from then on it was part of my sets, taped to the top of my D28. I really loved the switch of the one line: 'I had a gal in summertime with summer colored skin'. Awesome! This is joni at her purist. Each fall, I find myself singing this haunting song over and over again. Until she came out with "Misses", the only version was on the B-side of a 45...which I actually found one day in a record store in Appalachia! 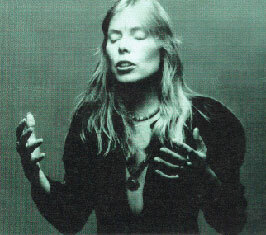 I love everything Joni Mitchell, but I especially love the first albums since I was so young and it really brings back the time. My heart has always been with this type of folk melody.